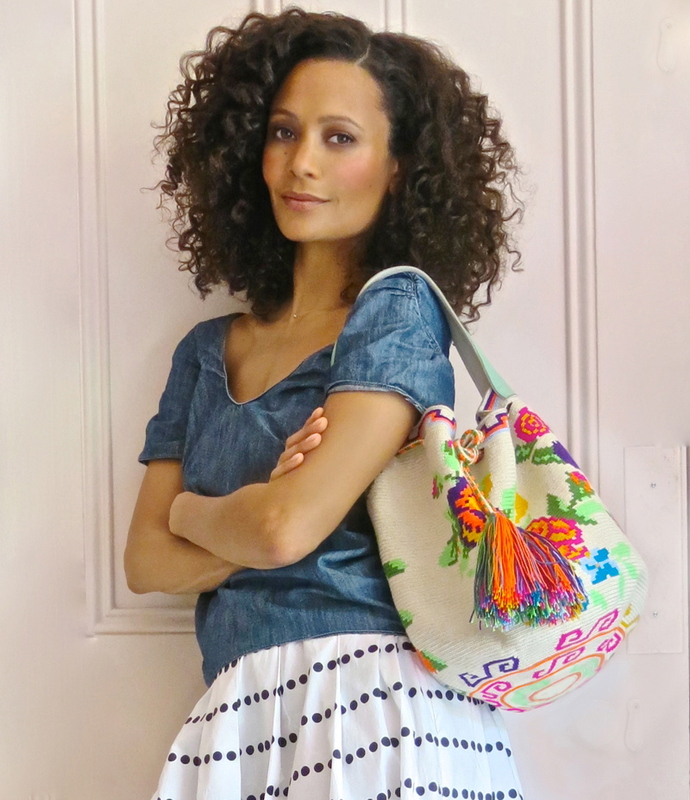 This is Thandie’s everyday bag this summer, it seems to complement everything..
Sophie Anderson was born in Kuwait and raised in Oman so traveling is in her blood. She started her designs whilst traveling in South America and we love the way this is reflected in her designs. Gorgeous I want that bag! !